Chinch Bug adults are 1/5″ long and black with white patches on their wings. The nymphs range from 1/20″ to nearly adult size. They are reddish with a white band across their backs but become black as they mature. Mated females lay eggs singly behind leaf sheaths or in the soil around host plants. Wingless nymphs hatch from eggs in about two weeks and develop through five stages for about 30 days before becoming adults. The entire life cycle can occur in about 4 to 6 weeks or longer, depending on temperature. There are three generations per year in north Florida and seven to ten in south Florida, so having a Lawn Service is very important. While chinch bugs do not pose a health risk to people or pets, they are damaging to turf grass, especially St. Augustine grass. Chinch bugs withdraw the plant sap with piercing-sucking mouthparts, causing yellowish to brown patches in the turf grass. These bugs tend to gather on sunny open patches of turfgrass. Due to their small size, chinch bugs are hardly noticeable. Therefore, they become problems since they are considered pests that feed on stems of turfgrass. Having Lawn Service will help your lawn get rid of Chinch bugs. Damage may occur in open, sunny areas near sidewalks and driveways, but also in the middle of lawns. Infested plants have slower growth, turn yellow, then rusty reddish-brown, and die. The damage is often confused with drought or frost stress. New damage may appear by May or June, depending on spring temperatures, and any damage that existed in late fall will become apparent in the spring. 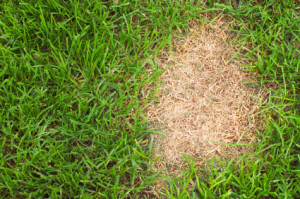 Other factors, such as disease, nematodes, nutritional imbalances, drought and the turf’s overall health can cause off-color areas to occur in lawns. Thus, the grass should be carefully examined to determine which corrective measures may be needed. Populations tend to be clumped in an area of a lawn, and usually more than one chinch bug can be found in the bottom leaf sheath on a grass plant. As their host plants die, individuals will walk to neighboring St. Augustine grass plants to continue feeding. As with any pest or disease problem, the key to successful treatment is correct identification understanding and Lawn Service. Don’t let chinch bugs destroy your lawn. Swatter Pest Solutions are professionals at identifying Lawn pest and problems. Swatter Pest Solutions LLC does regular monthly treatments to keep your Lawn from getting infested with Chinch bugs or any lawn damaging insects that can destroy your Lawn. Please call for Lawn Service today at Swatter Pest Solutions LLC 813-245-4853.